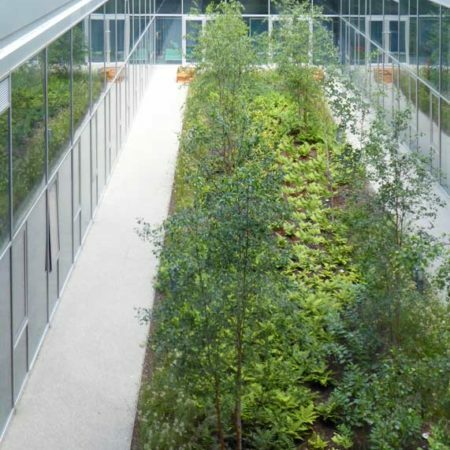 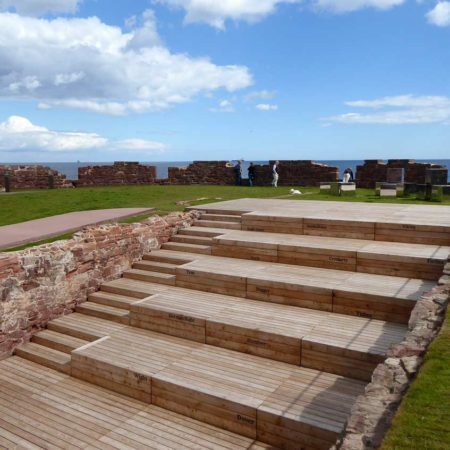 rankinfraser landscape architecture was founded in 2008 by Chris Rankin and Kenny Fraser who combine practice with teaching at the University of Edinburgh. 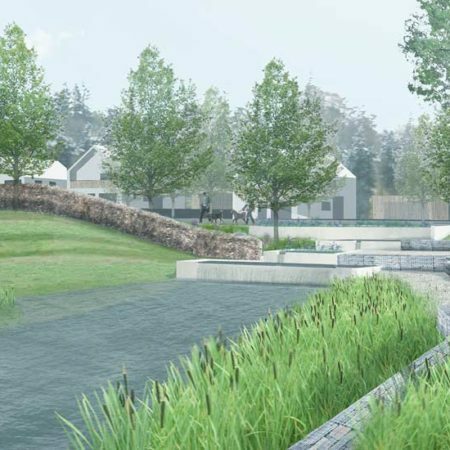 We are based in the historic Edinburgh New Town and the practice now consists of an international team of 10 landscape architects. 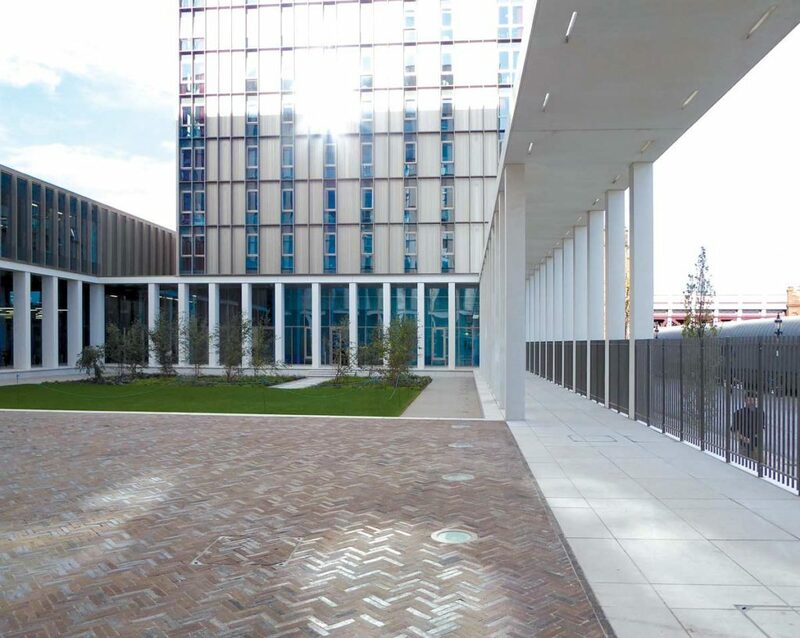 Whilst most of our work is concentrated in Scotland, we work on projects across the UK. 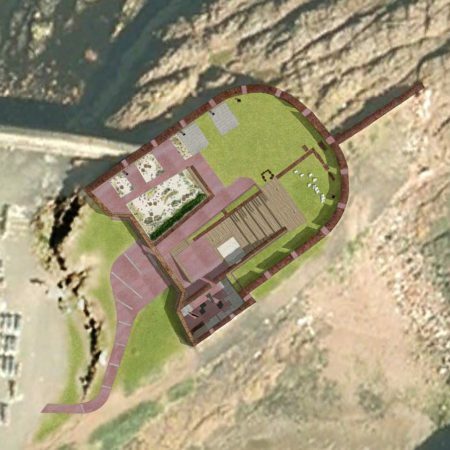 The centre of Edinburgh is a Unesco World Heritage Site, designated for its unique inter-relationship of natural topography, urban form and designed landscapes. 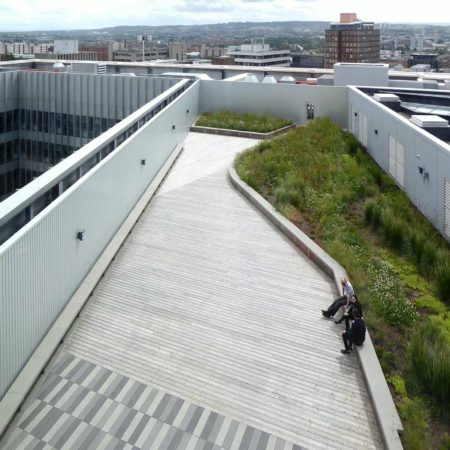 We believe this makes Edinburgh almost unique as a place to study, practice and teach landscape architecture. 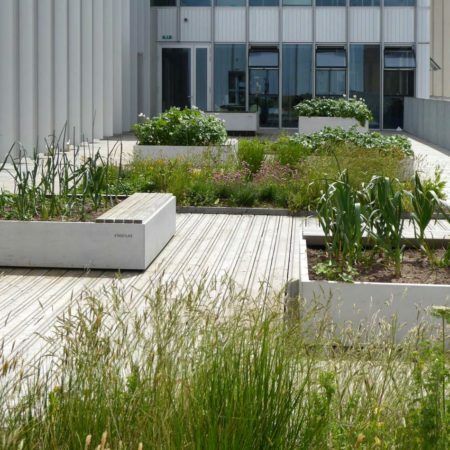 It is undoubtedly true that the landscape of the city informs much of our attitude and approach to designing landscapes. 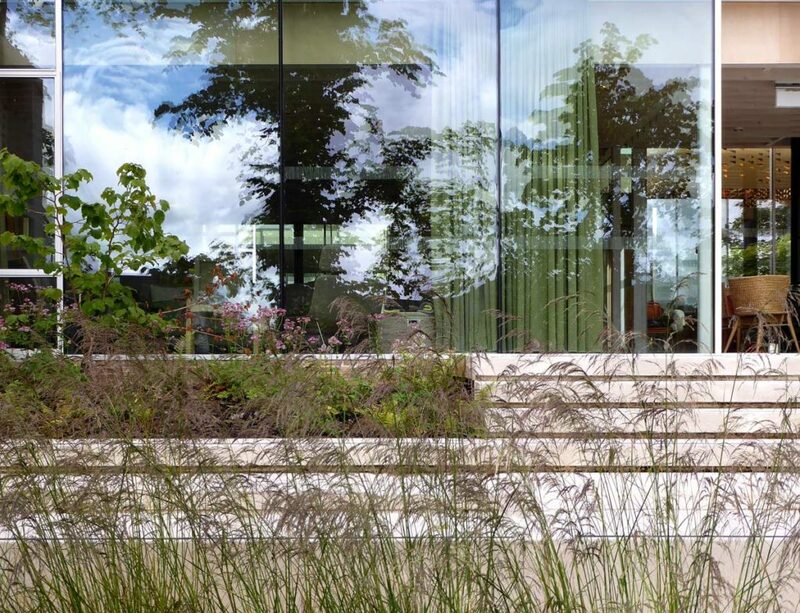 We seek to design landscapes that are rooted in their cultural, social and spatial context regardless of scale. 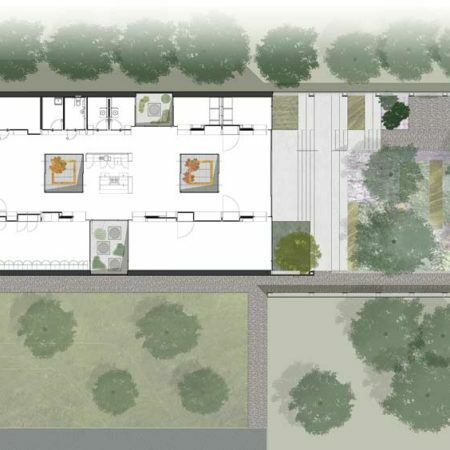 We believe in the timeless beauty of simplicity, often referencing Dieter Rams 10 Principles of Good Design; especially the maxim that, “Good design is as little design as possible”. 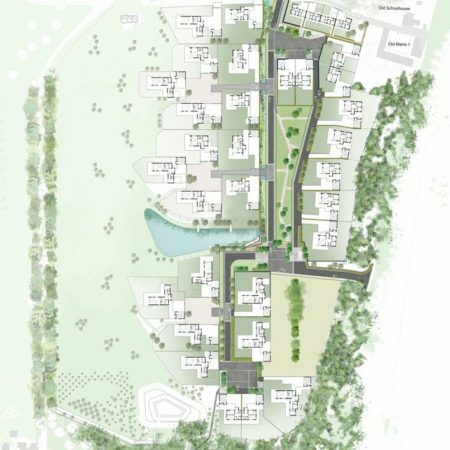 In the context of designing landscapes this translates into an approach that prioritises the importance of site along with a detailed and thorough understanding of the components that constitute the character of the place. 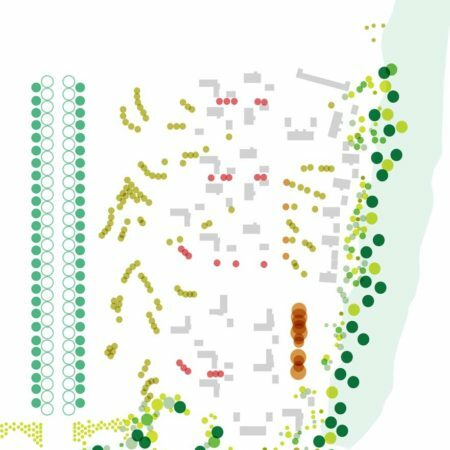 Building upon this research and understanding we seek to combine a tectonic approach that focuses on careful material selection and detailing with a strategic understanding of the wider landscape character. 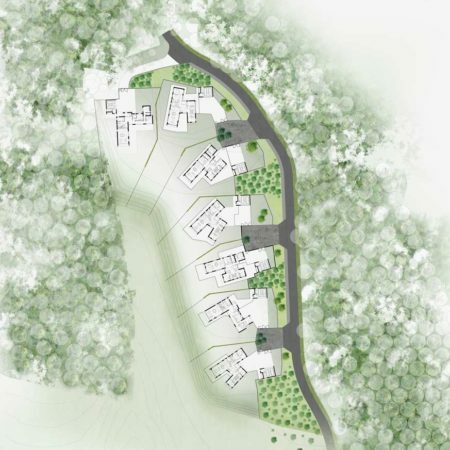 We endeavor to make landscape proposals that are innovative and practical, contextual and memorable, honest and durable, unobtrusive and unique, sustainable and original, value for money, pure and simple. 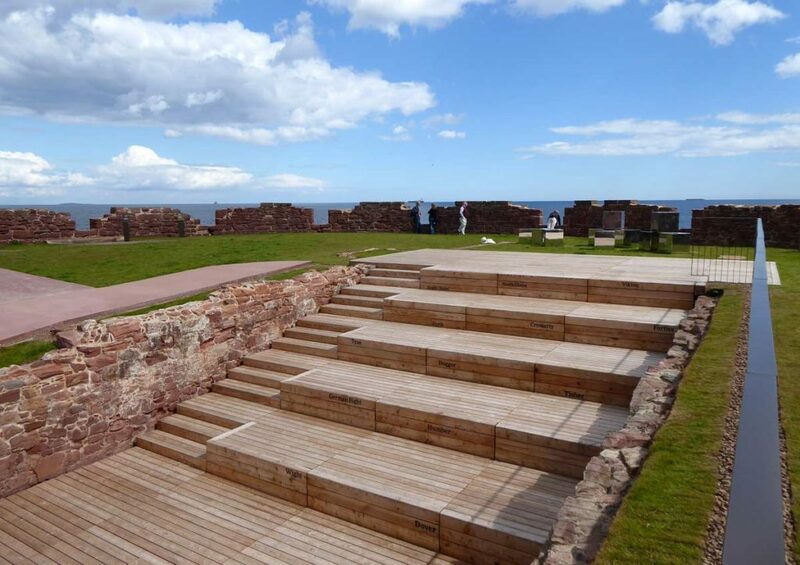 We are influenced by designed landscapes of the past and landscapes of the everyday in Scotland and beyond. 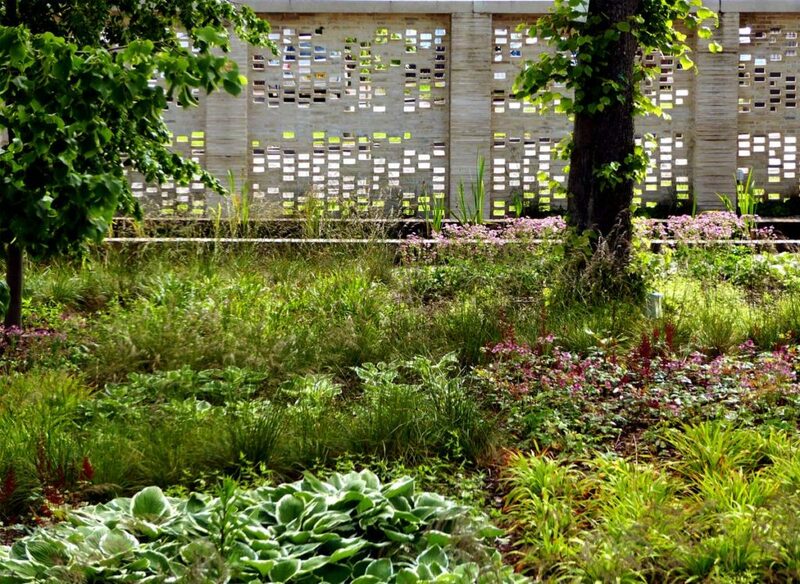 The order of Vignola’s Villa Lante, composition of Scarpa’s Querini Stampalia and the beauty of the Caledonian Pine Forests play equally important roles. 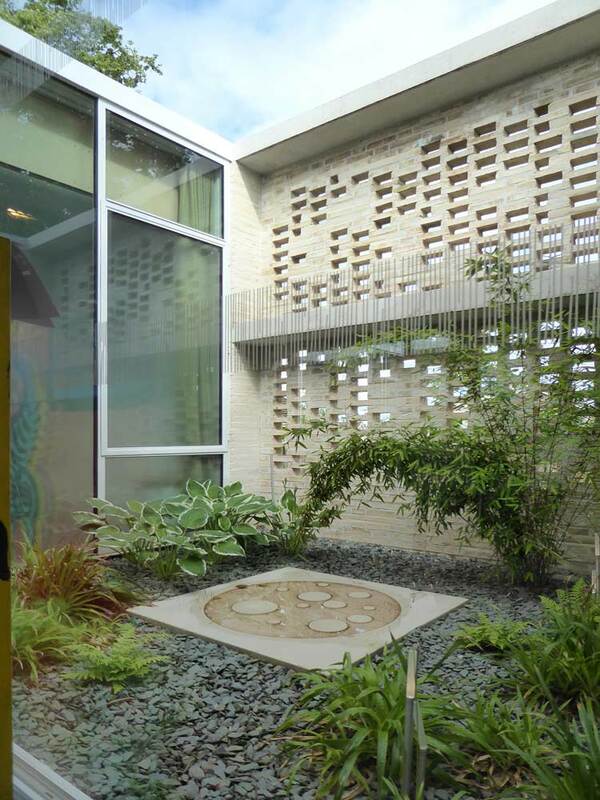 The work of the practice ranges from master planning to private gardens and installations. 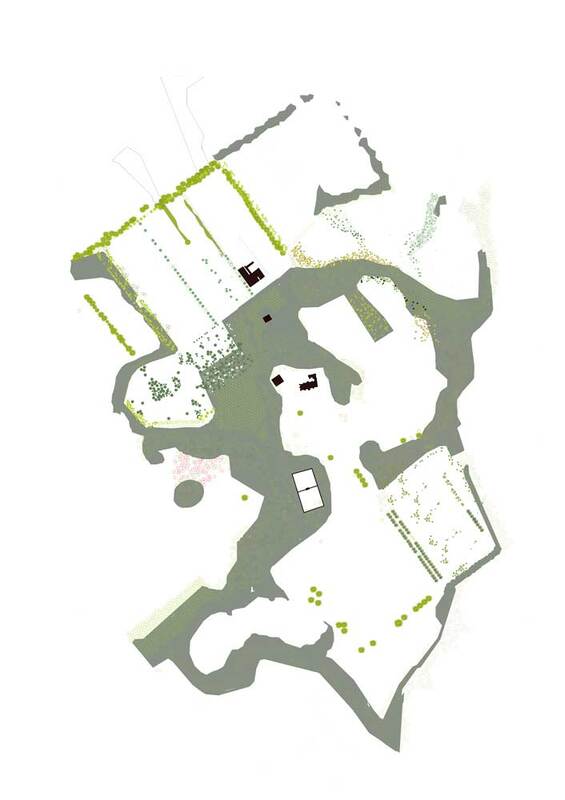 Regardless of scale we seek to apply the same level of contextual research, respect for the existing landscape and the enhancement of the landscape condition through simplicity of means. 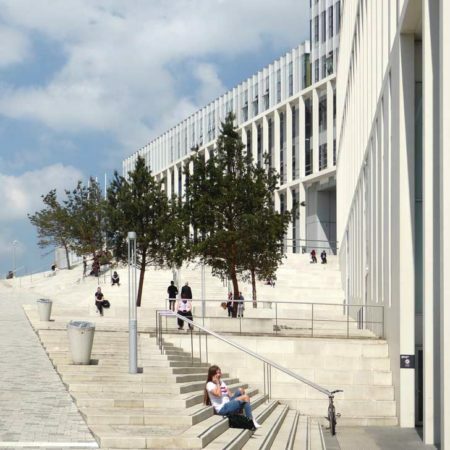 Both partners combine practice with teaching and research in the Edinburgh School of Architecture and Landscape Architecture at the University of Edinburgh. 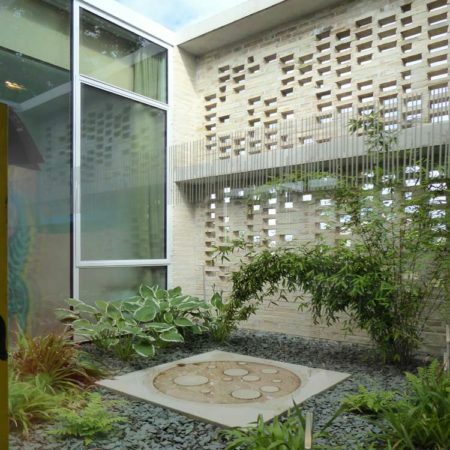 This academic activity allows us to engage in design and research projects beyond the scope of normal practice work. 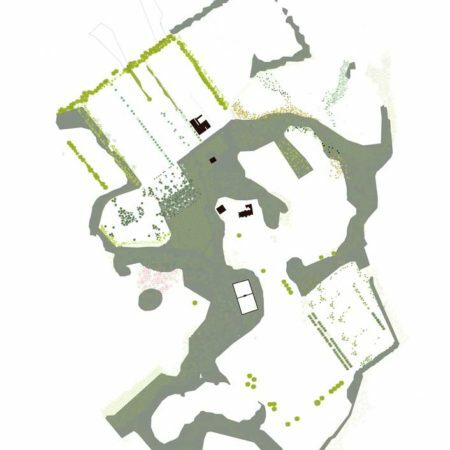 Our site specific research has developed over a number of years of repeated study visits to unique and challenging European landscapes such as the former Plaszow Concentration Camp in Krakow which we have been studying with masters students for the past 5 years. 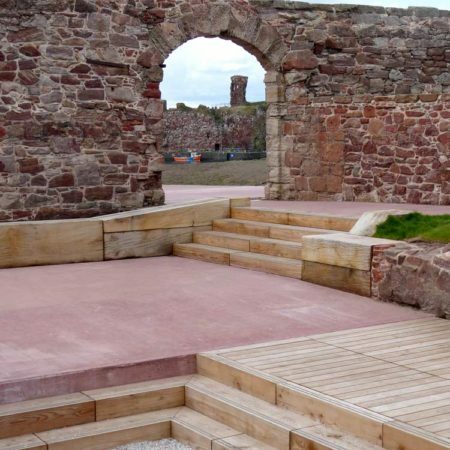 Since its formation the practice has won a number of awards for a range of project scales including the Landscape Institute Awards, Scottish Design Awards and Civic Trust Awards. 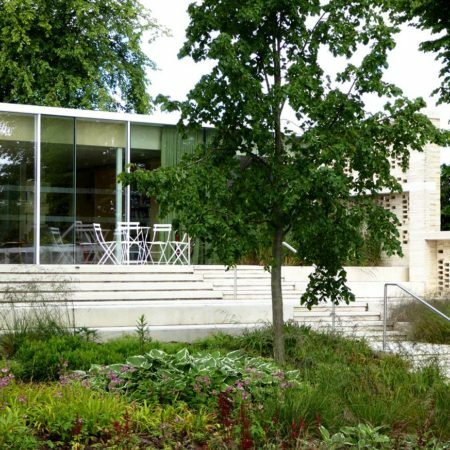 The work of the practice has been included in a number of exhibitions in the UK and Europe and our work has been published internationally. 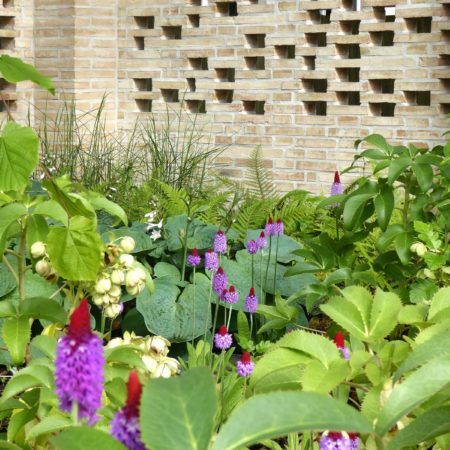 Where we reach the limits of our skill and understanding we are not afraid to ask for help from others who can add richness and expertise to our design work. 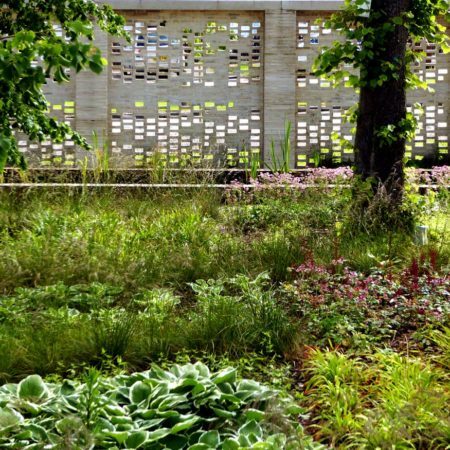 Most often this involves working with artists but can also include horticulturists, poets and other landscape architects. 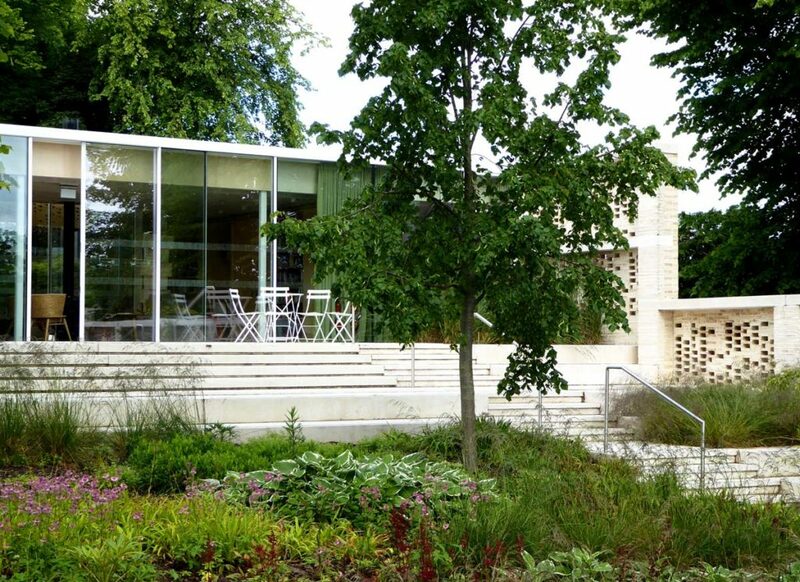 The relationship of building and gardens at Maggie’s Lanarkshire represents a significant moment in the design evolution of Maggie’s Centres, embodying an academic, research led realisation that delightful, domestic scale gardens associated with these buildings can deliver tangible health benefits and should be included in their delivery. 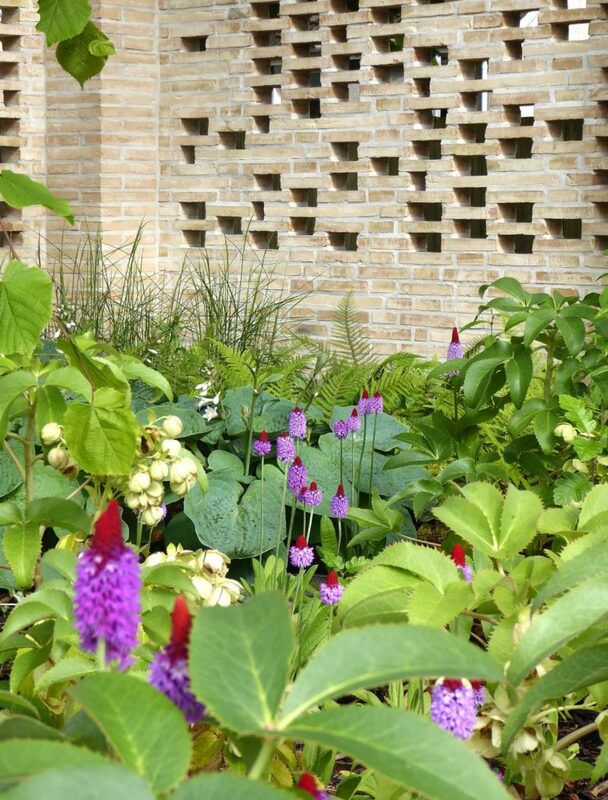 The building and enclosed gardens are conceived as a single linked composition a hortus conclusus enclosed by a delicately perforated brick boundary wall. 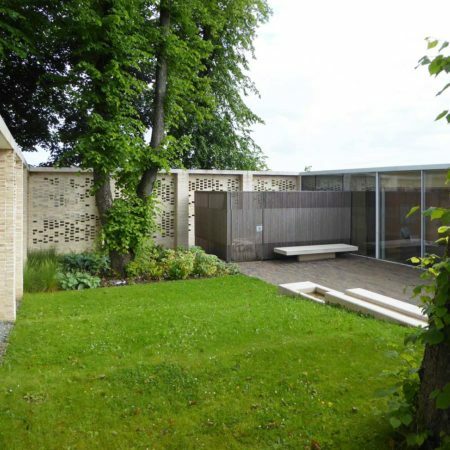 Dappled light and shade from the retained trees and the sound and movement of water are constants in both gardens. 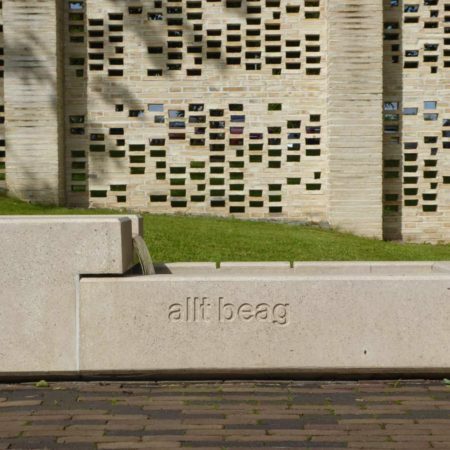 In the arrival court, the existing lime trees, a bench and a linear rill; allt beag (Gaelic for little burn), rich with the sound of running water combine to create a sense of dignity, tranquillity and calm and the opportunity for reflection. 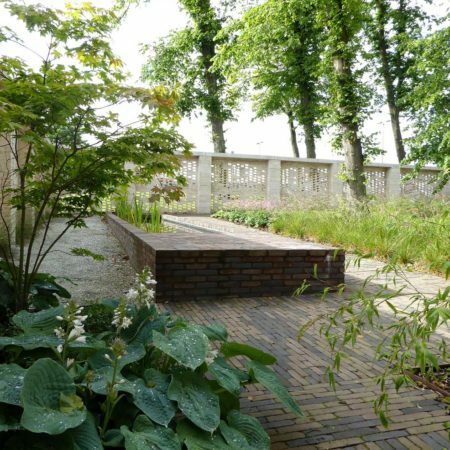 The trees and water work in conjunction with the compositional and spatial design of the gardens which are derived from the building grid and the near 2.5 metre fall across the eastern garden. 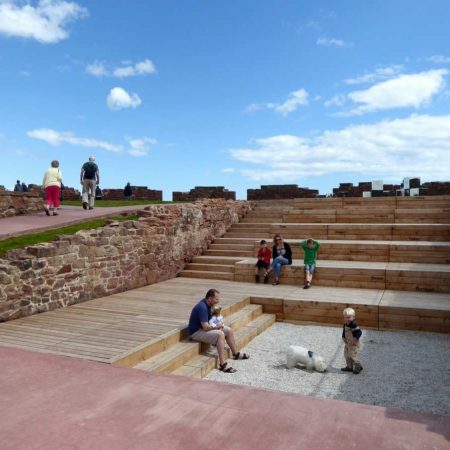 This change in level is celebrated via a ‘noble threshold’ of terrace, steps and generous seating steps. 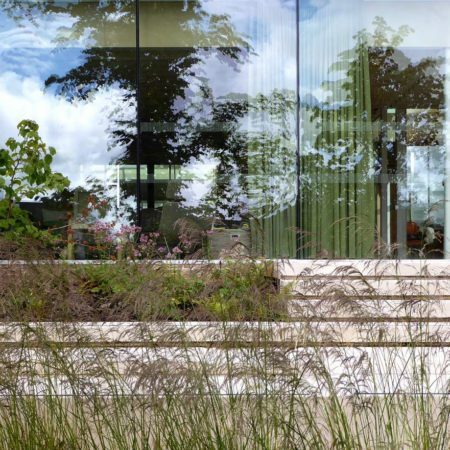 These steps lead to an evocatively and richly planted woodland garden conceived as an abstraction of the building grid, which is terminated by a still reflective pool. 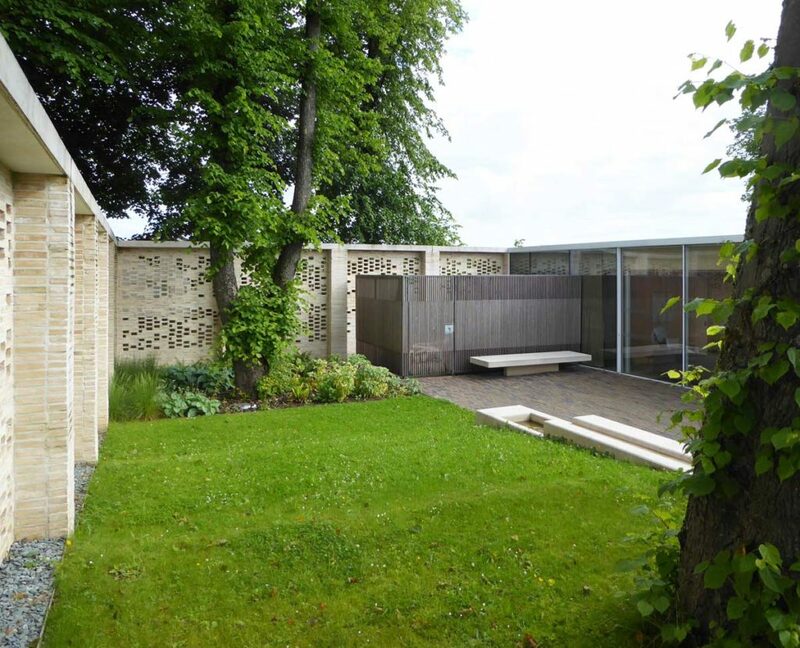 The northern edge of the garden is conceived with private spaces for counselling and confidential moments. 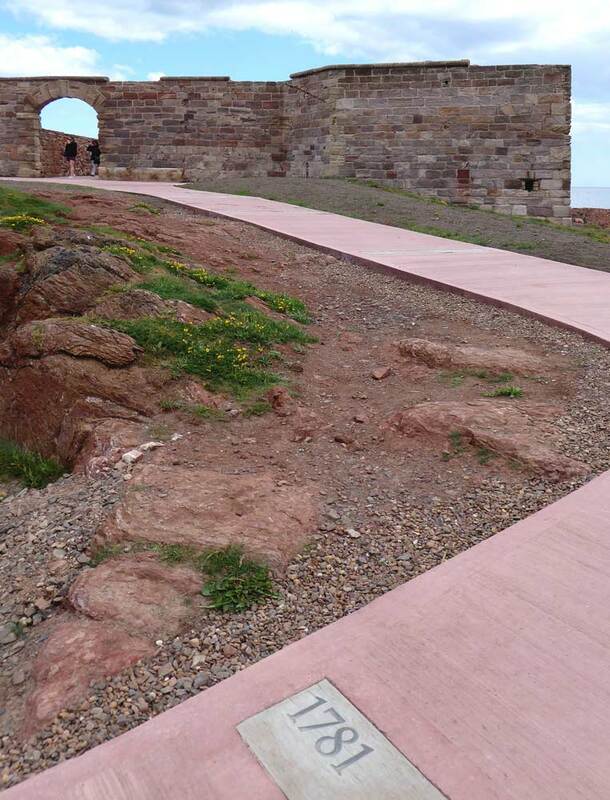 Bowling has a unique location on the west coast of Scotland. 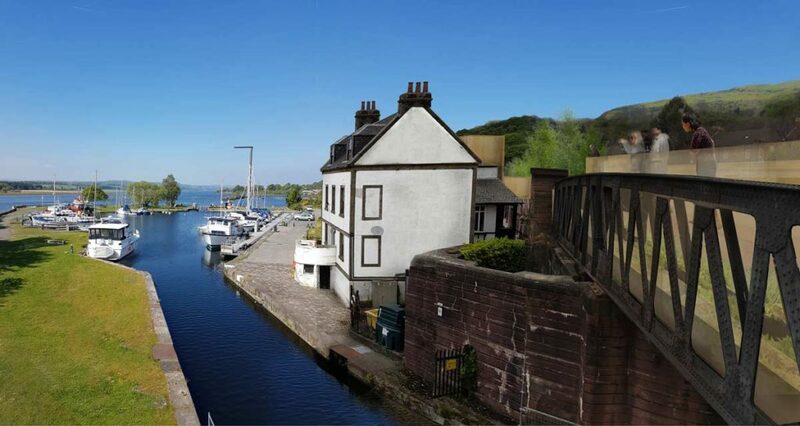 It is characterised by a historic harbour and canal basin situated at the outfall of the Forth and Clyde Canal into the Clyde Estuary. 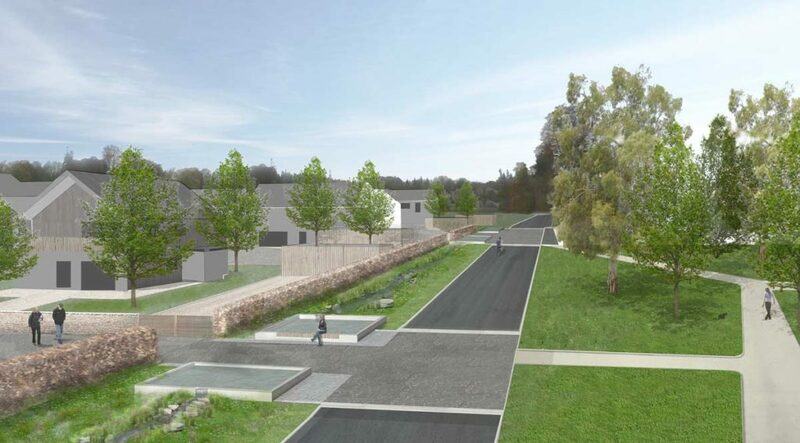 It is also characterised by the convergence of several other transport infrastructure corridors including an active rail line, the main road into the village and a redundant elevated rail line. 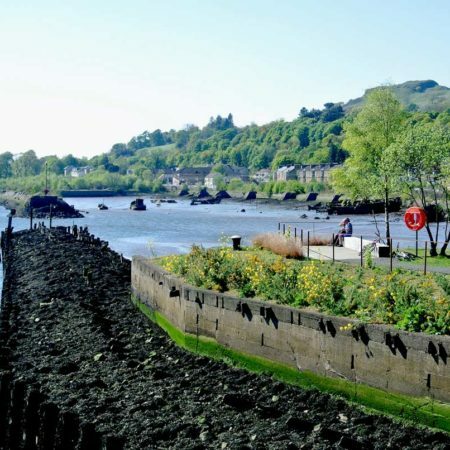 rankinfraser has been working at Bowling for several years for Scottish Canals. 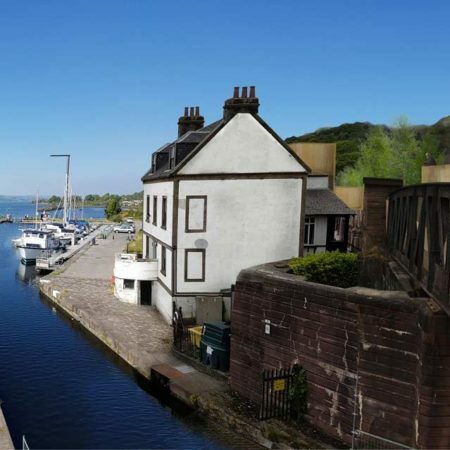 Scottish Canals are engaging in a long term regeneration of the canal corridor and the canal basin. 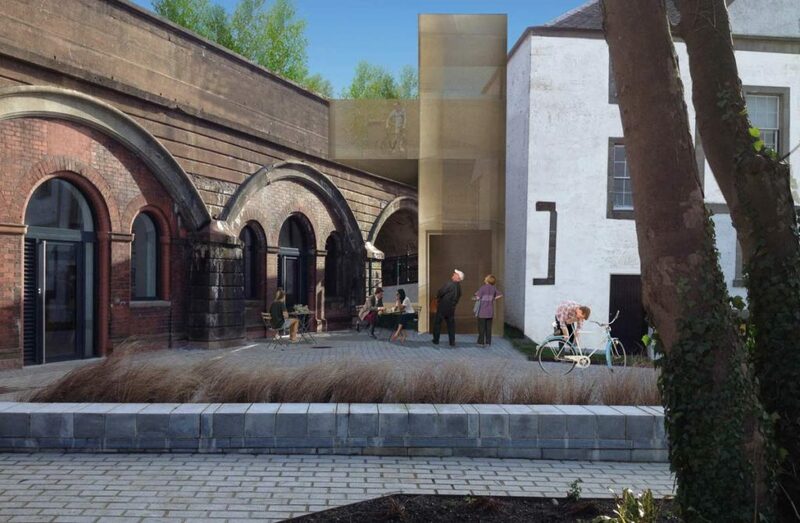 The regeneration project contains several scales of development including a long term proposal for new canal side and woodland housing, canal boat living, the refurbishment of a number of railway arches to attract new businesses, the improvement of access, circulation and viewpoints, new parking and gateway signage and the creation of an elevated linear park on the redundant rail line. 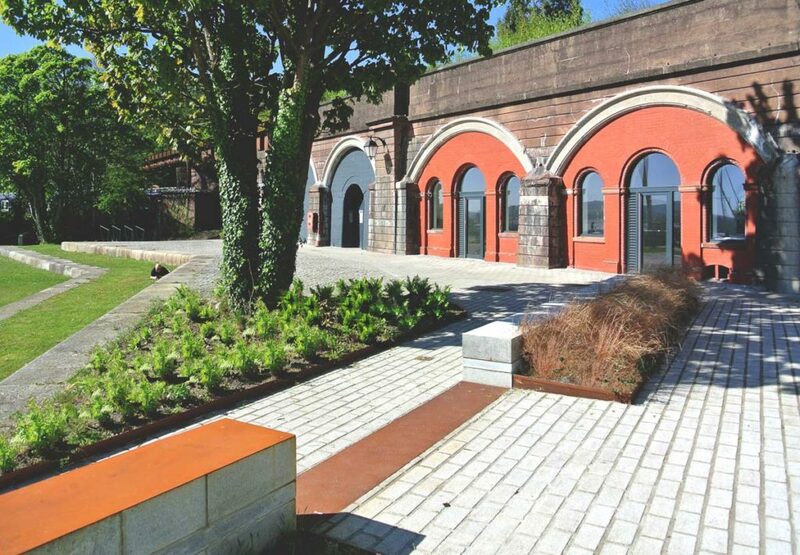 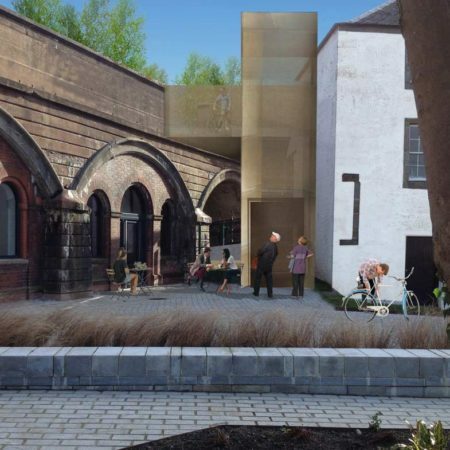 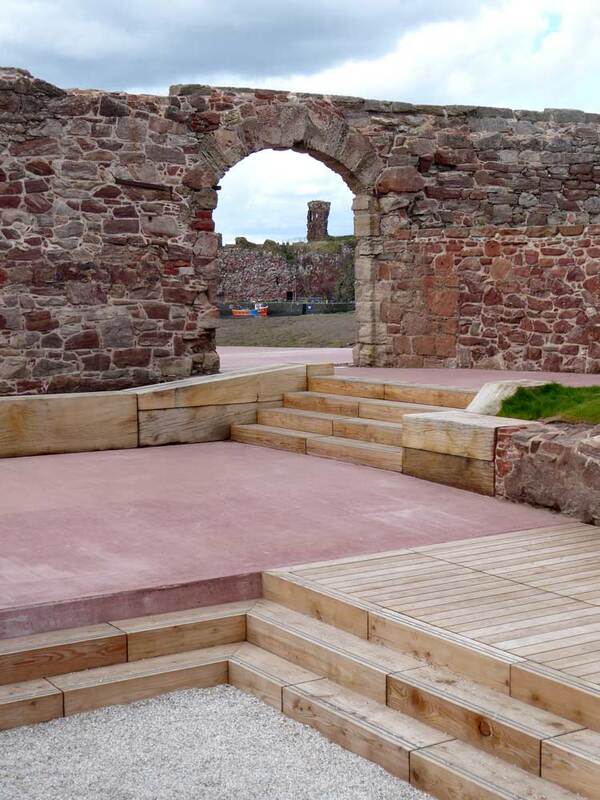 Completed works to date include the arches refurbishment and associated landscape and public realm renewal, and the construction of two new accessible viewpoints. 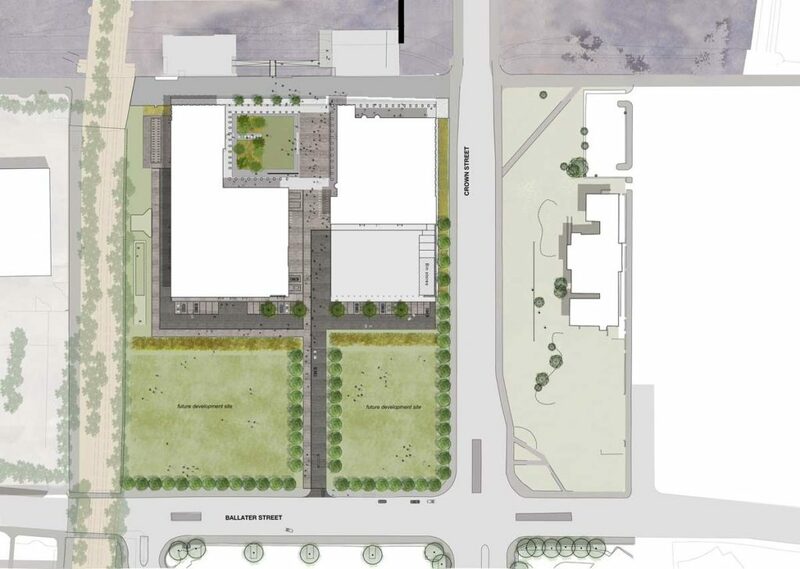 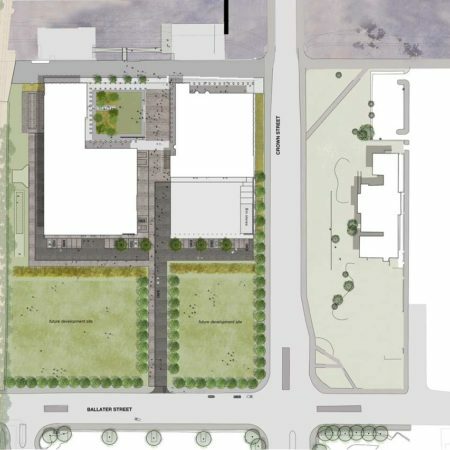 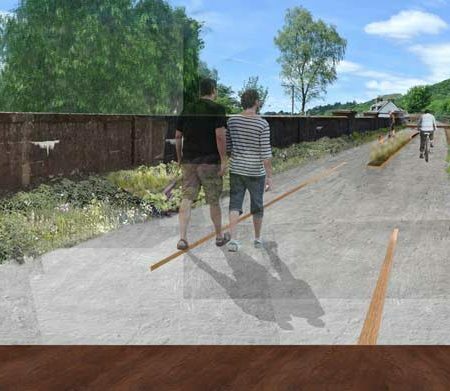 rankinfraser are currently developing design proposals for the elevated linear park. 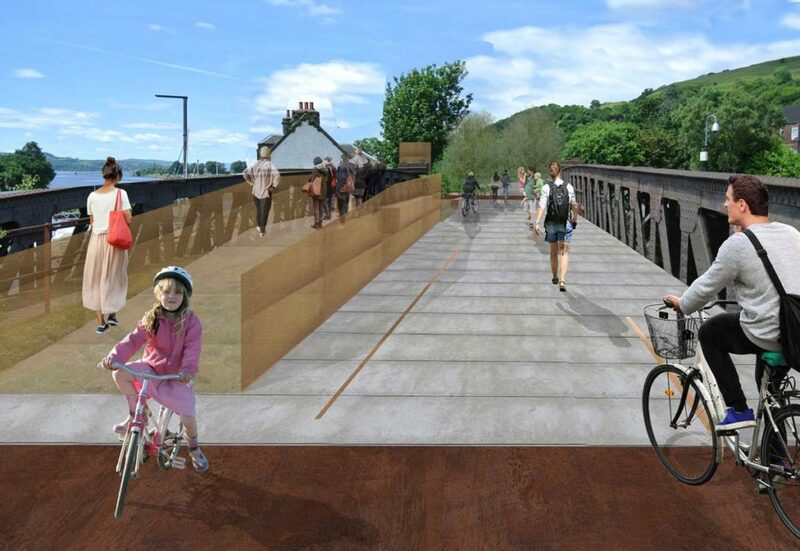 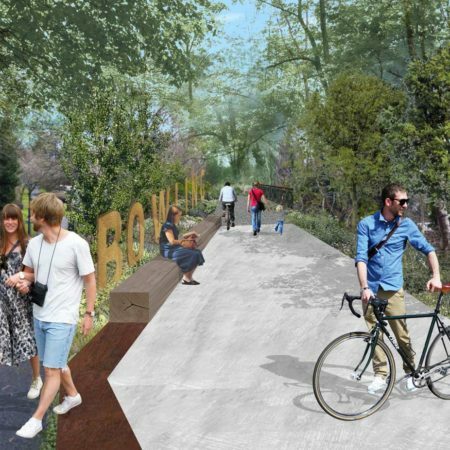 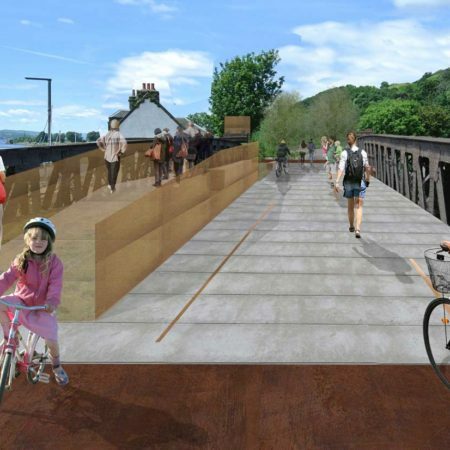 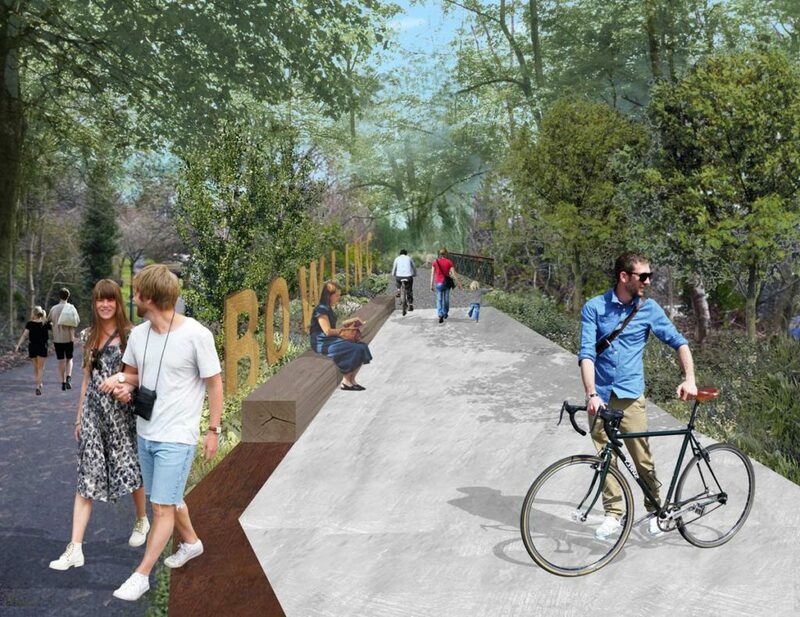 This park will incorporate a safer and more direct section of the National Cycle Route 7, new viewing terraces that capitalise on the stunning views to the Clyde Estuary and the Kilpatrick Hills, seating and new planting. 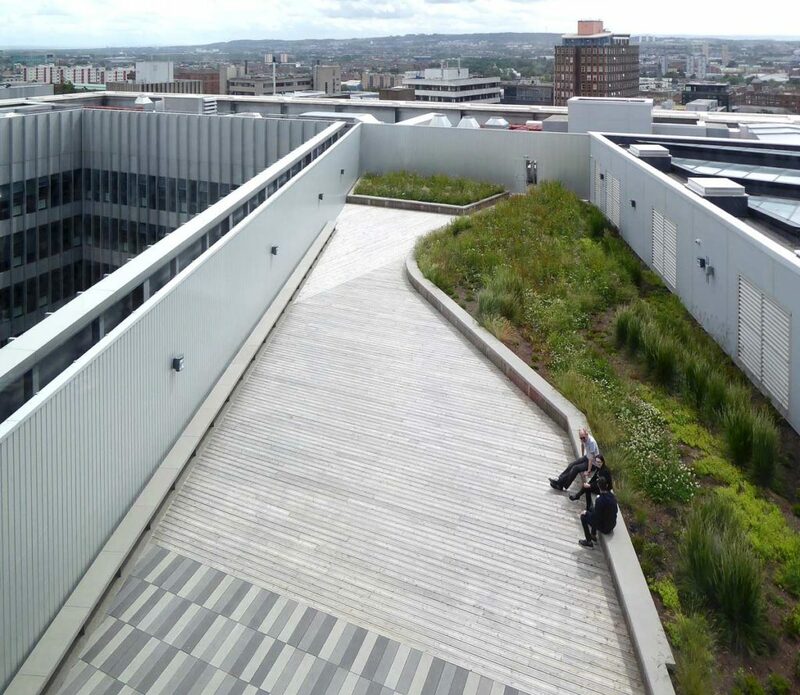 The City of Glasgow College was formed in 2010 from the merger of three established city colleges. 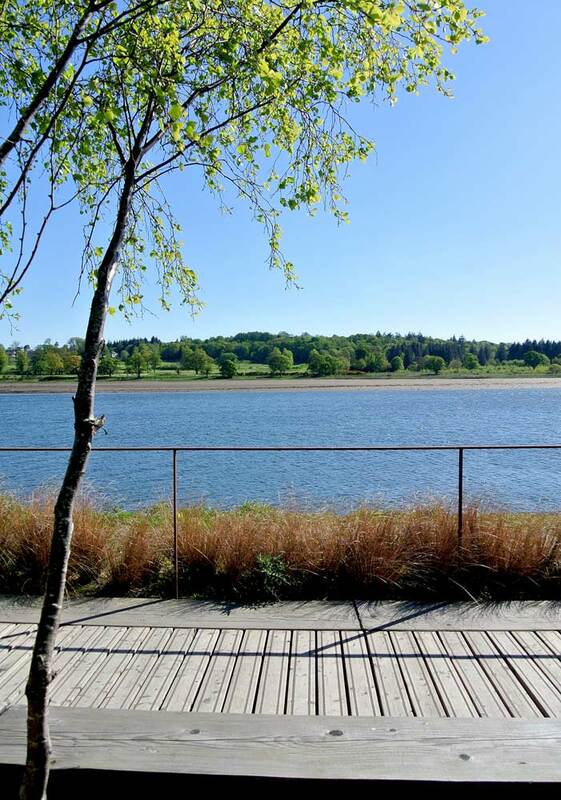 The two campus sites have a strong relationship with their city and wider landscape contexts, being located by the River Clyde and on College Hill. 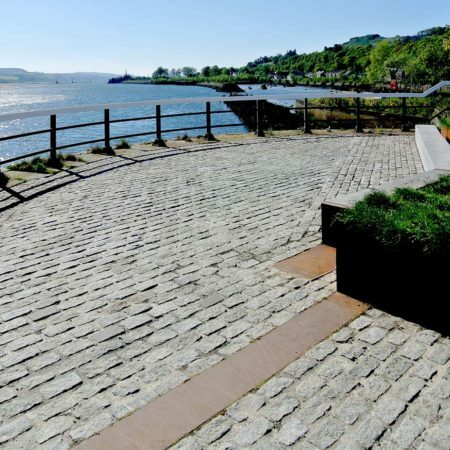 The hill and the river are the two defining landscape elements of Glasgow and the landscape design responds directly to these. 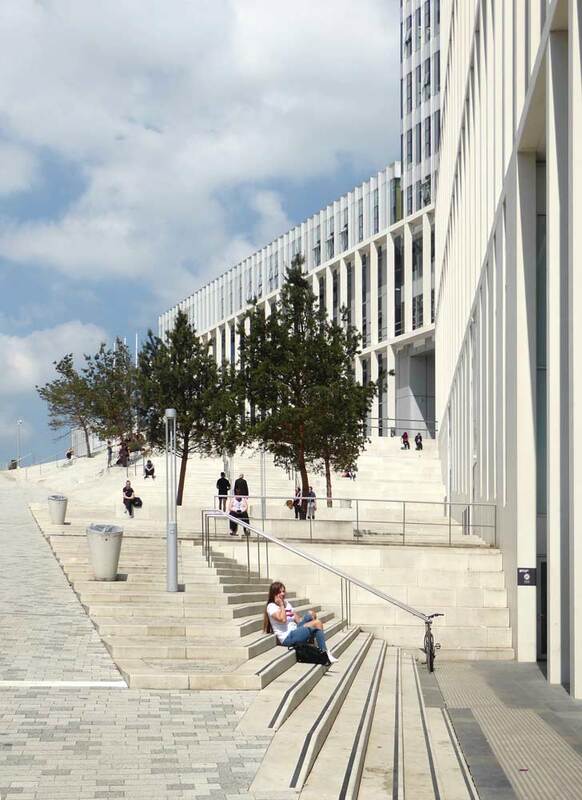 City Campus was completed in 2016 and is located on College Hill, a drumlin overlooking the city centre. 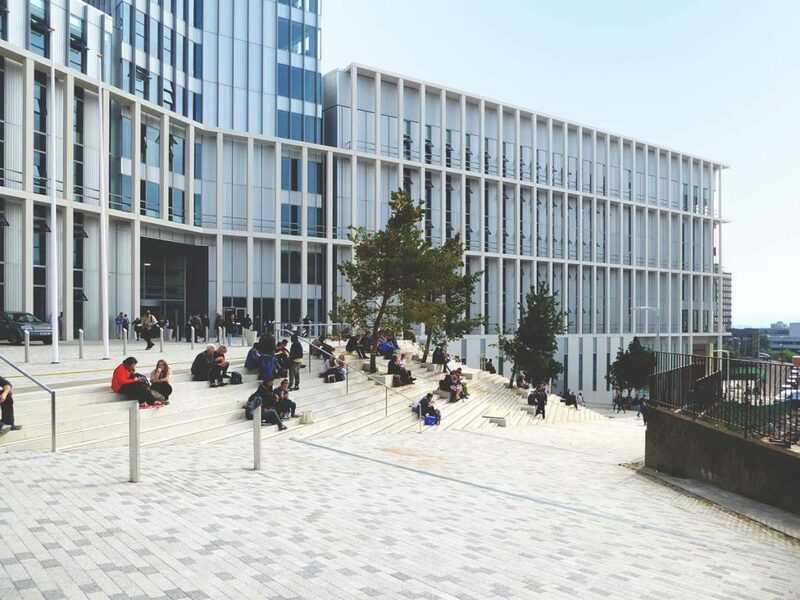 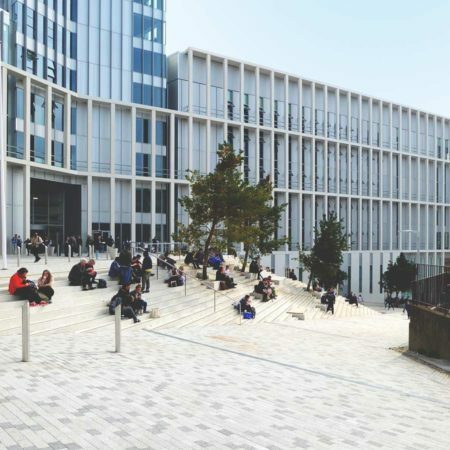 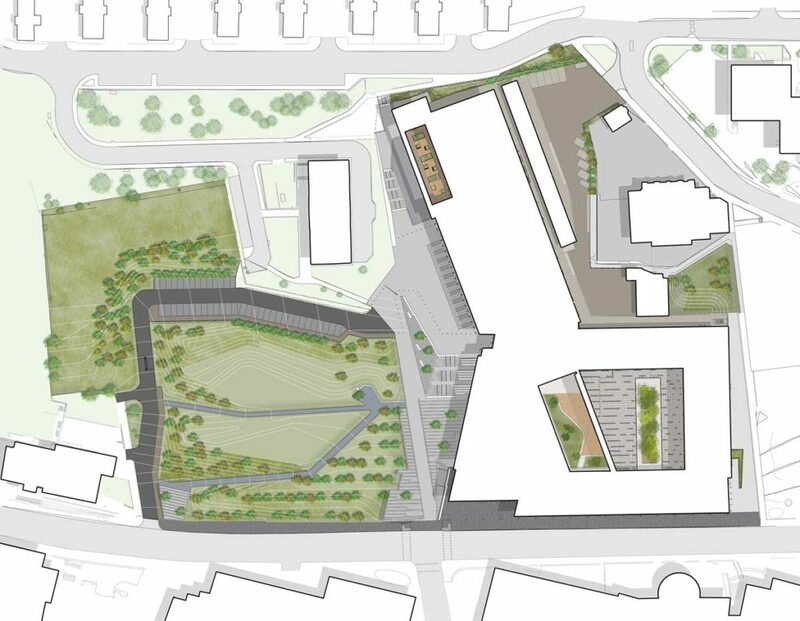 The building and landscape negotiate an 11m level change across the site which is celebrated in our design of the public realm by the creation of a dramatically stepped public space offering access to the college and a sunny gathering space with views out across the city. 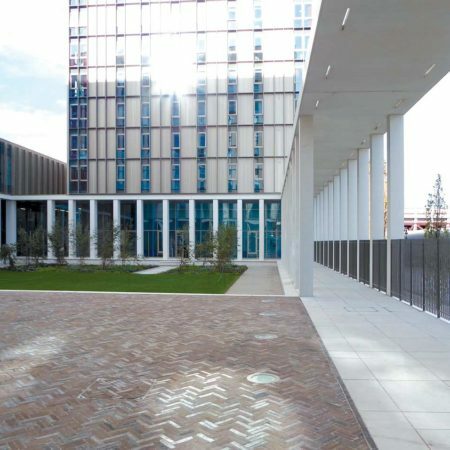 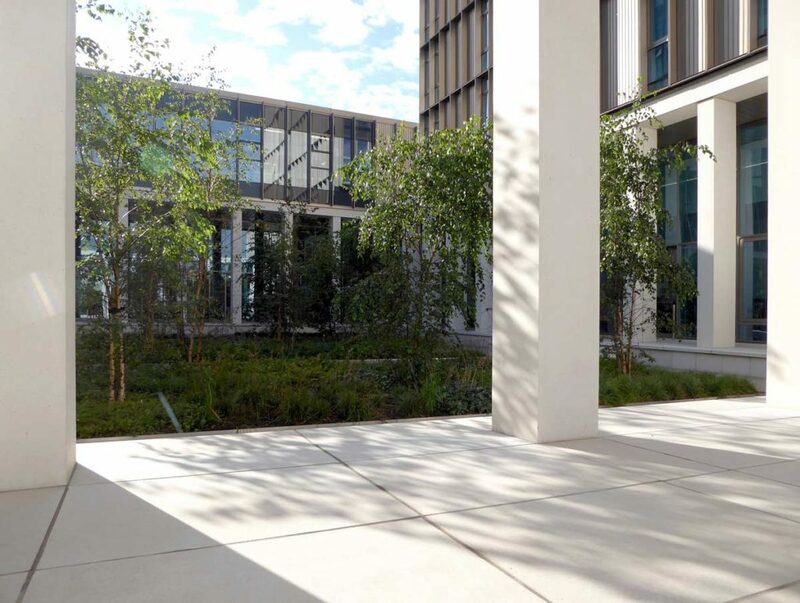 Further outdoor spaces are woven throughout the building; an enclosed garden, an expansive courtyard, a teaching terrace and a rooftop garden. 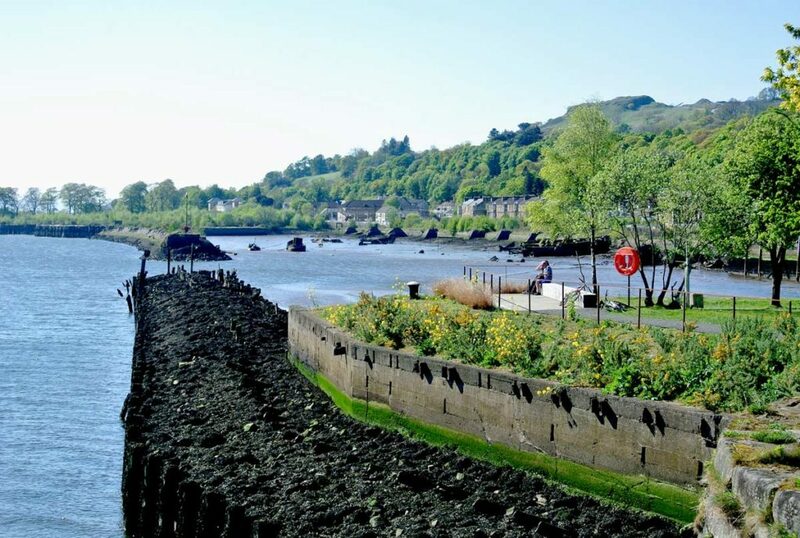 Riverside Campus is situated by the River Clyde. 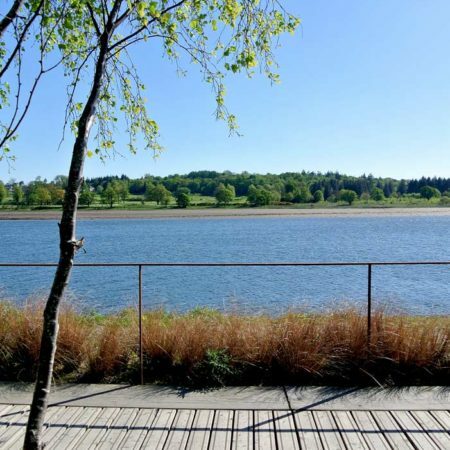 The project is considered to be an exemplar of riverside regeneration in a city which has long neglected its urban relationship with its river. 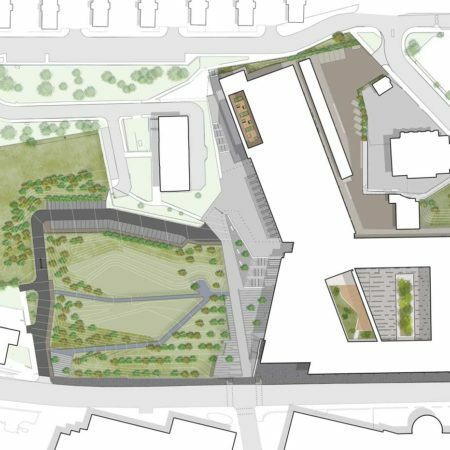 The landscape design is centred on an enclosed ‘cloister’ garden integrated into the heart of the campus. 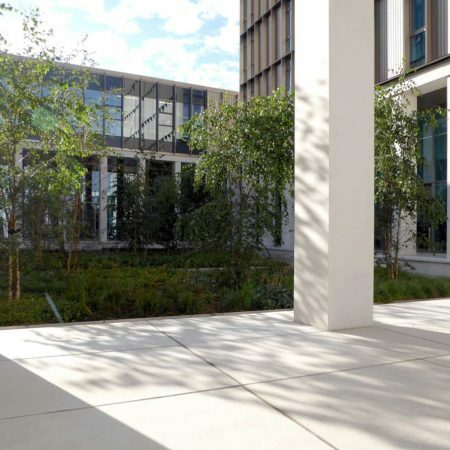 This form was deliberately chosen to bring gravitas to the campus. 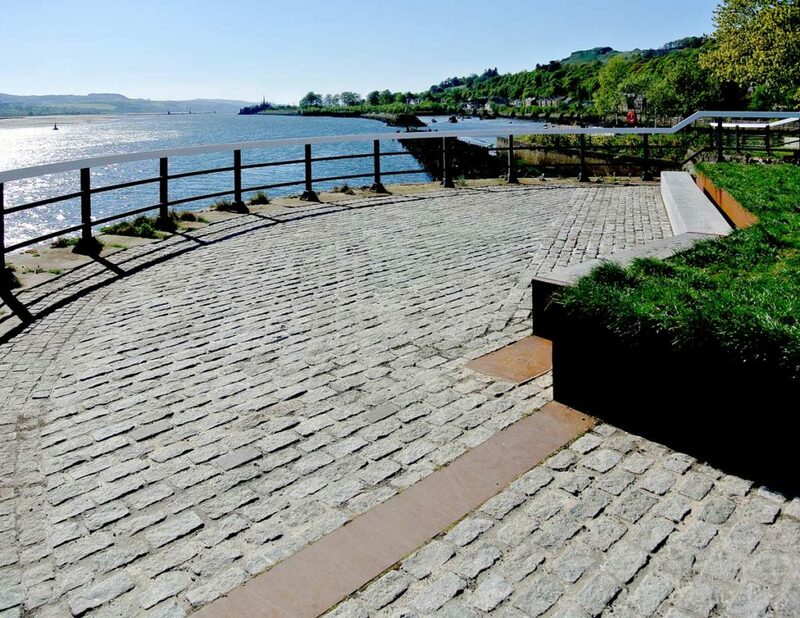 The buildings are positioned directly addressing the Clyde and the Riverside Walkway, grouped around two external spaces; the enclosed garden and a paved courtyard. 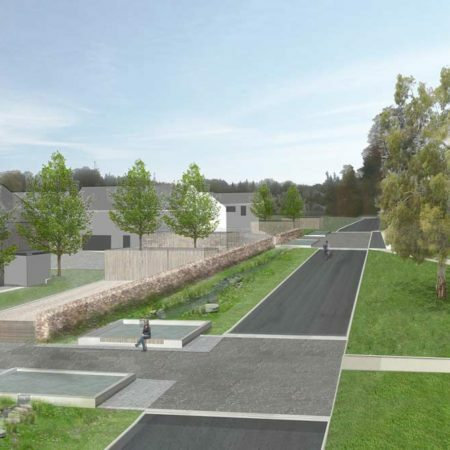 This project represents a carefully considered, planned approach to the introduction of residential development into Fasque Estate, a historic designed landscape in Aberdeenshire and the setting for Fasque House, a Category A Listed Building. 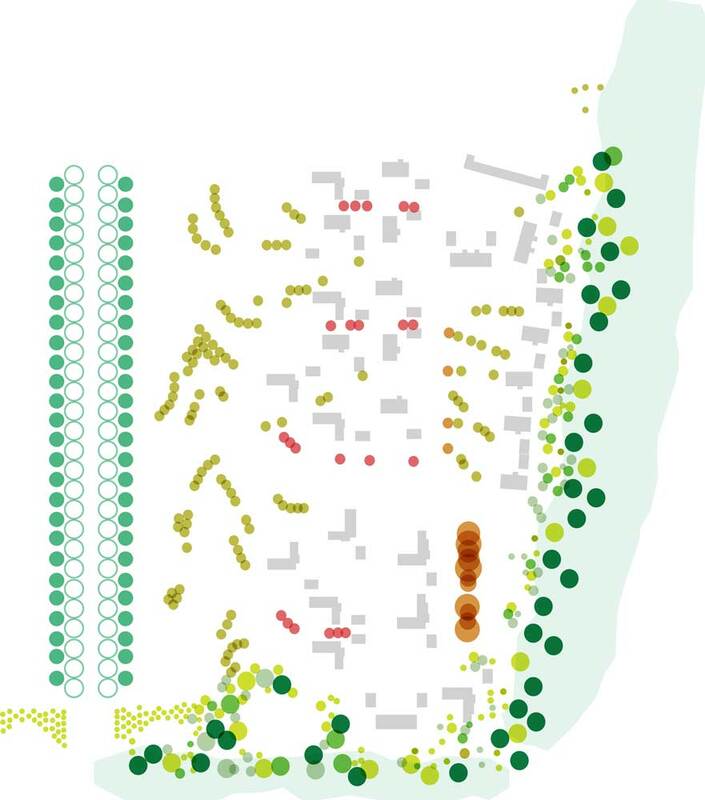 The landscape of today is the product of an ‘overlay’ of two distinct periods of landscape design; a formal orthogonal layout, evidenced from maps from the 18th Century, with remnant tree avenues and shelterbelts still visible and a later, more informal 19th Century design. 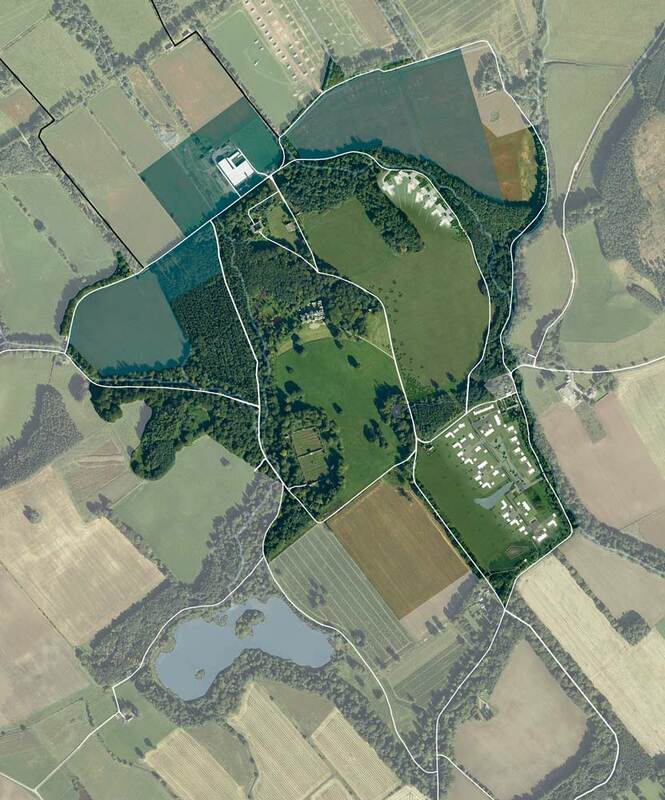 Zone 1 is located to the south east of the estate. 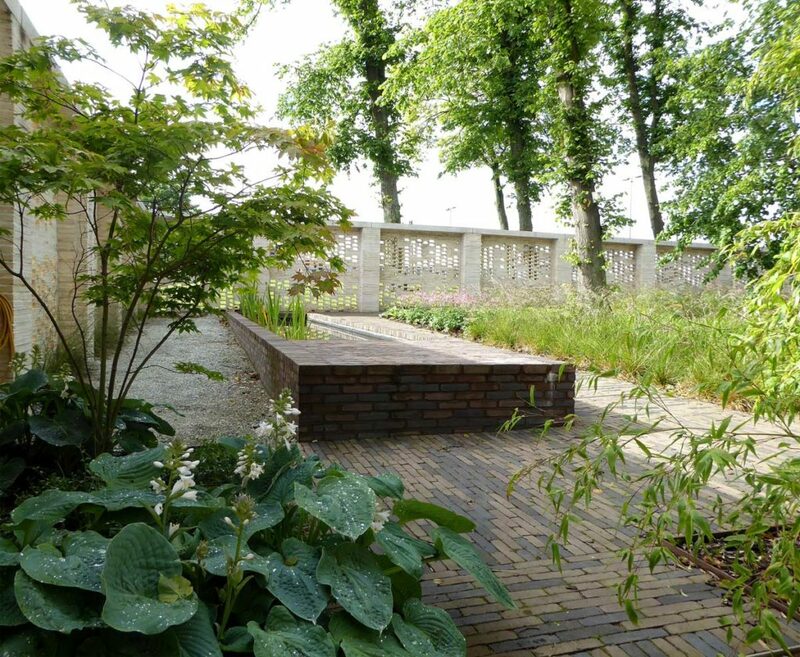 The form and location of the principle landscape spaces were determined by respecting the alignment of the extant 18th C landscape ‘frame’. 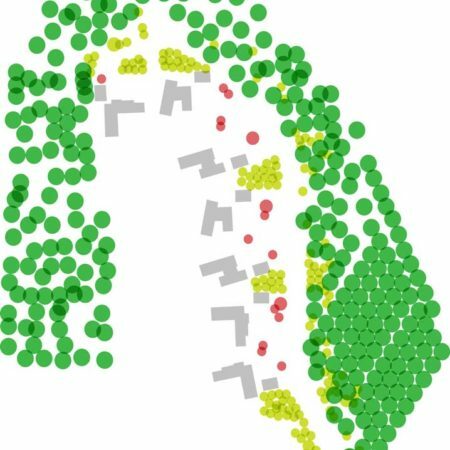 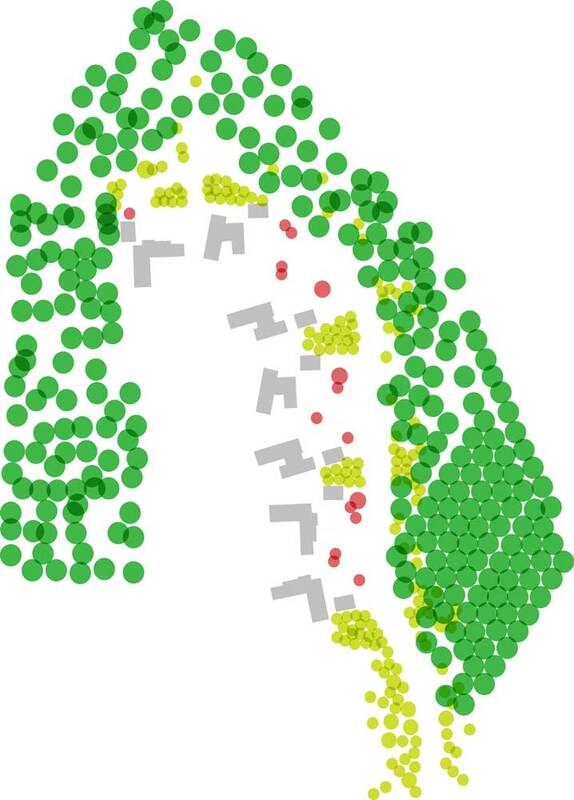 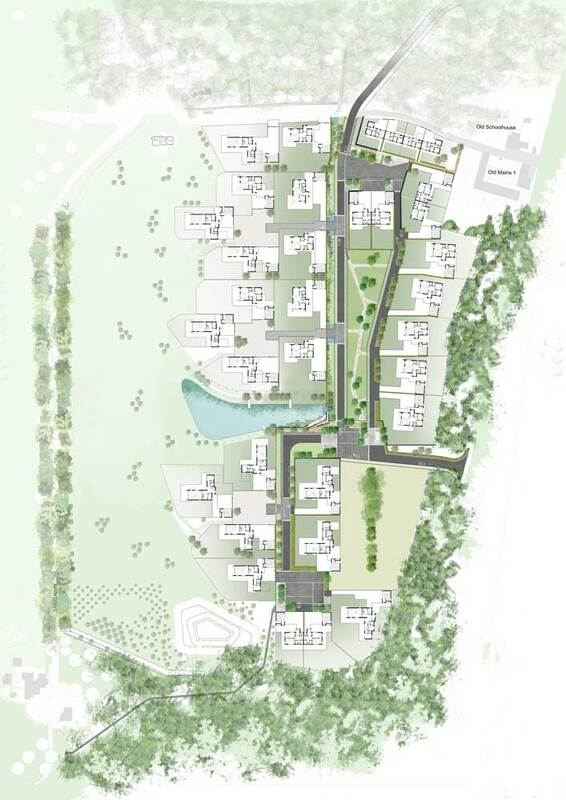 Combinations of housing clusters are grouped around a central village green, smaller public spaces and courtyards which also mark points of arrival and orientation. 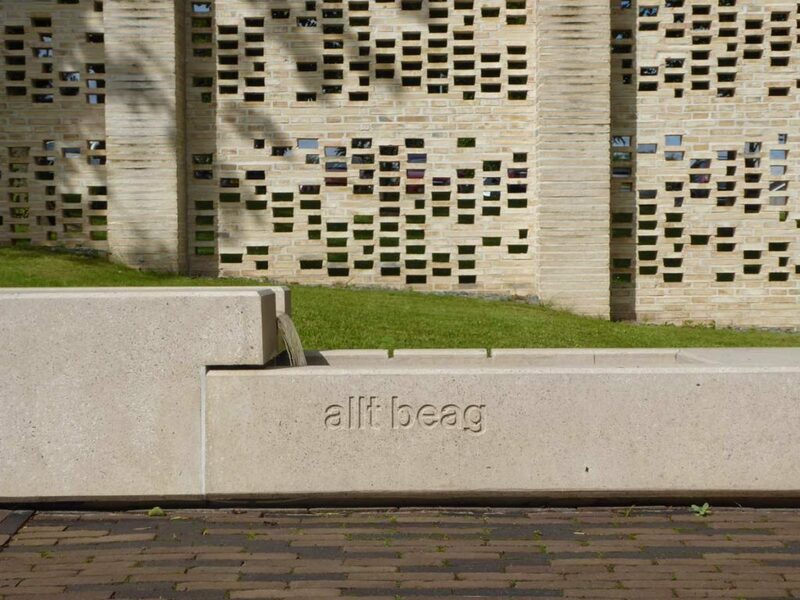 The village green is aligned with a remnant beech avenue dating from the earliest designed landscape. 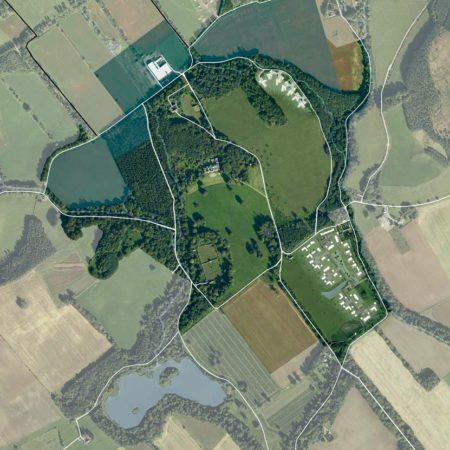 Zone 2 is entirely different in character as it is tucked into a pocket of space between a historic beech woodland and a coniferous plantation. 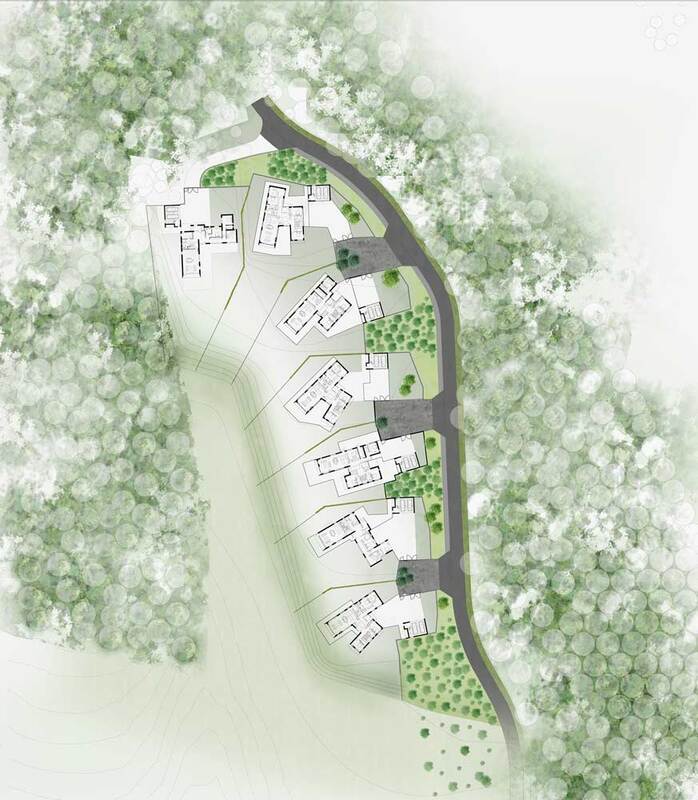 Each pair of houses share an entrance courtyard alternated with pockets of birch and pine that help soften the transition between the woodland and the development. 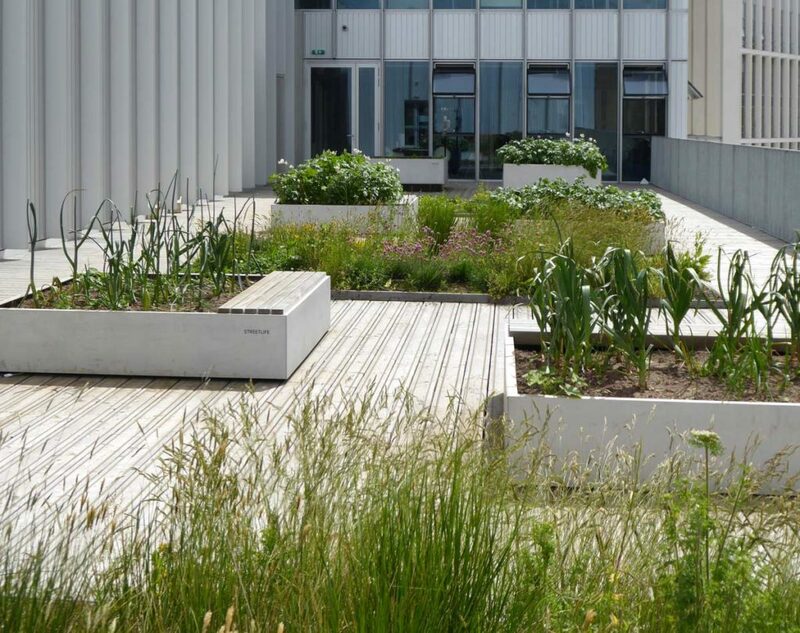 Large gardens run downhill to the west where boundaries are defined by a traditional ‘ha-ha’ to create the impression of the open field running up to the buildings. 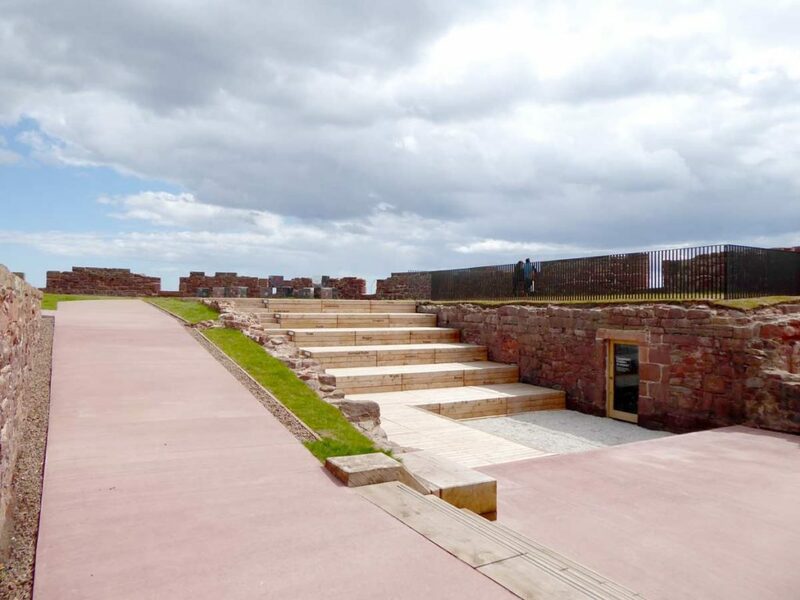 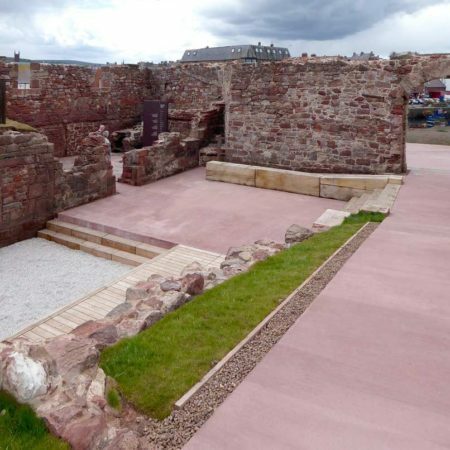 This project is for the design of a new public space within the Lamer Island Battery in Dunbar, a harbour town on the east coast of Scotland. 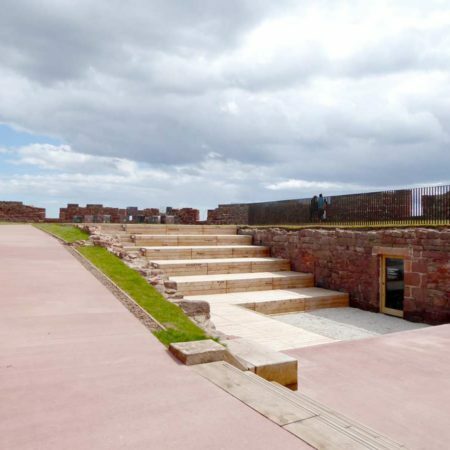 This defensive bastion was built in 1781 during the American War of Independence. 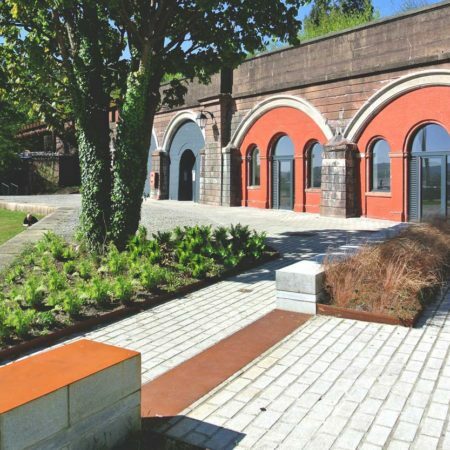 The site subsequently housed a hospital for infectious diseases and was a military hospital during the First World War. 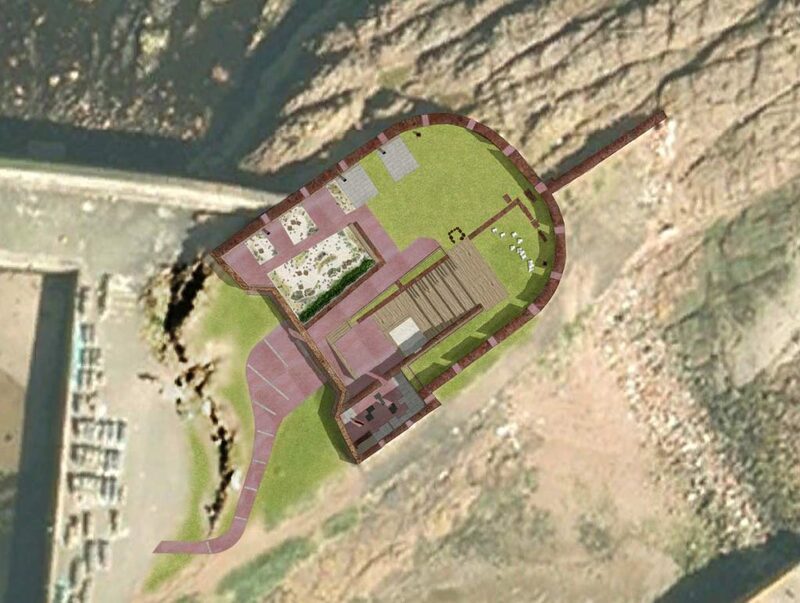 Latterly a ruin, it remained full of potential due to its stunning location, history and intriguing topography. 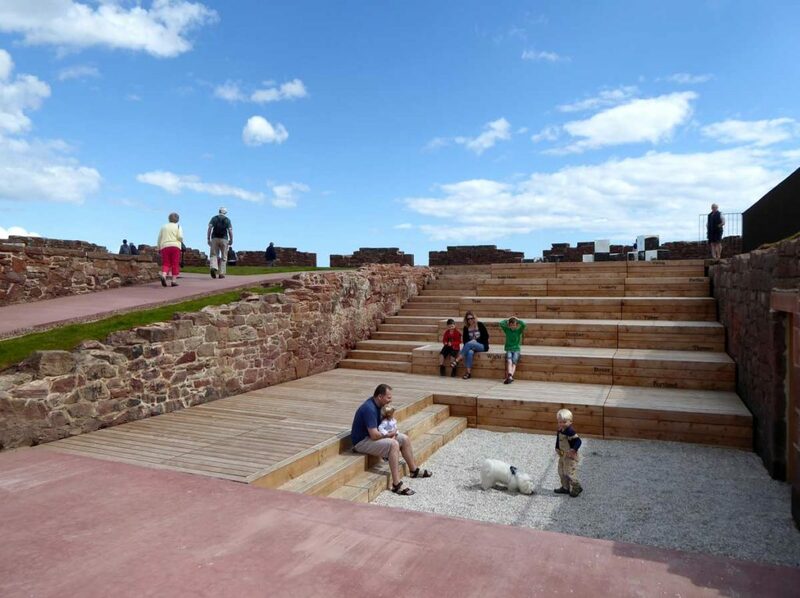 Our design seeks to exploit the site’s palimpsest through the repair and conservation of the historic structure whilst transforming the space with the contemporary integration of a new amphitheatre, artwork, planting and seating. 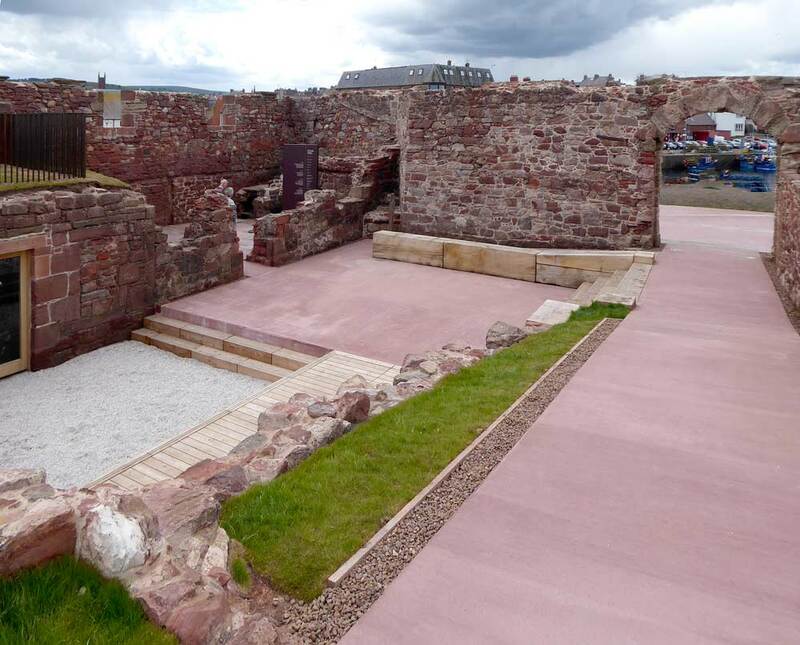 A process of archaeological investigation preceded and informed the design work and further elements of historic interest such as a fumigation oven and hospital foundations were incorporated into the design as they were uncovered during the course of construction. 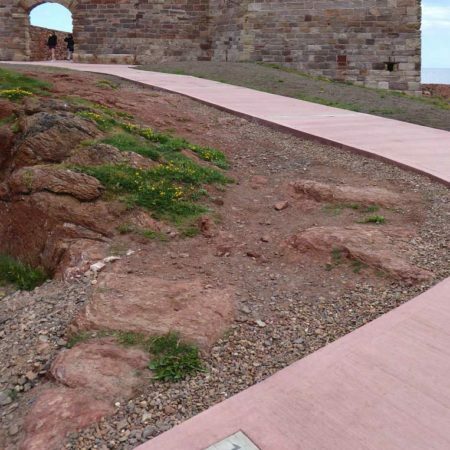 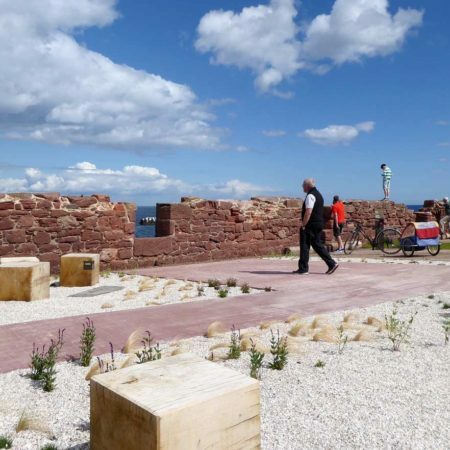 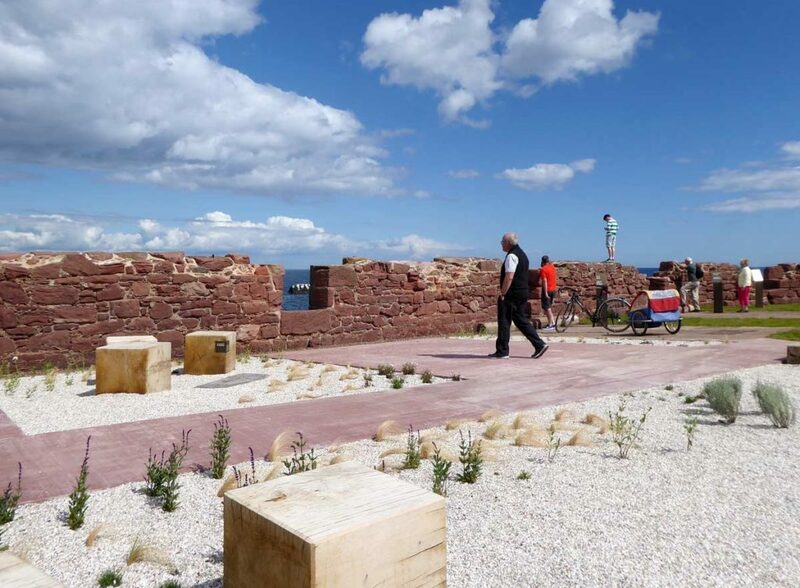 The site has been opened up to everybody through the introduction of an interpretive concrete path linking the revitalised battery to the harbour. 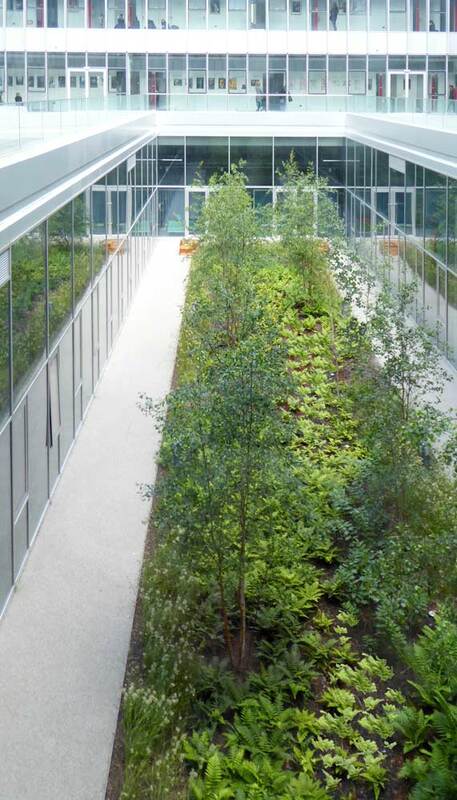 A garden with coastal plants animates the top level. 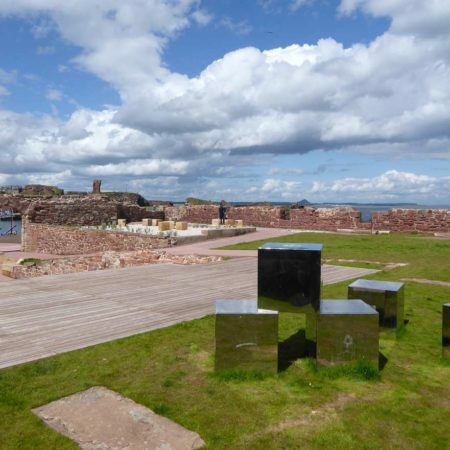 Interpretive elements were integrated into the furniture and structure of the interventions so as not to detract from the stunning spatial quality of the battery itself. 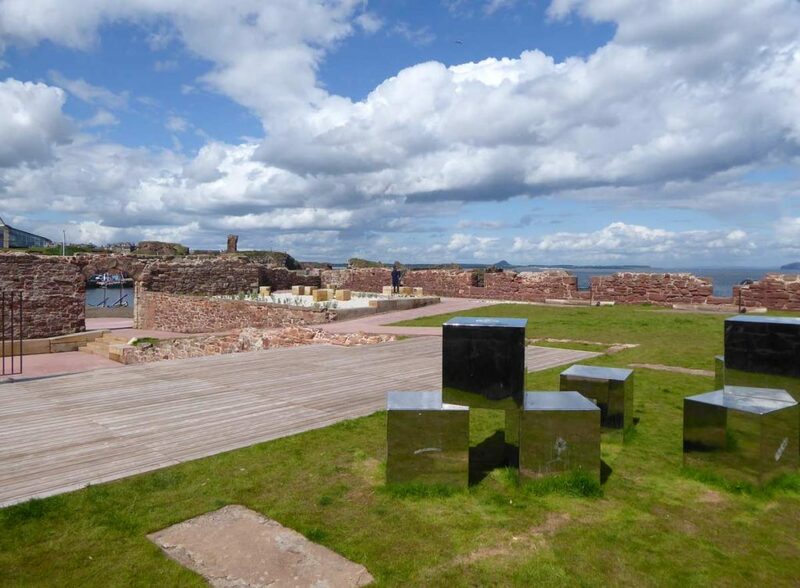 The artist Donald Urquhart was commissioned to make a site specific work, ‘Sea Cubes’, as a series of stainless steel cubes engraved with ‘foraminifera’.